Could Google create augmented reality contact lenses? The technology used in Google's Project Glass could eventually make its way onto contact lenses, said product lead Steve Lee. "I mean, that's definitely a long-term thing," Lee said in a published report. "At this point, it seems like a natural evolution." Google's Project Glass is the latest innovation from the search and tech giant. The augmented reality headgear is worn like a pair of glasses and provides map and camera functions to the wearer, among other features that have yet to be divulged by Google. Google co-founder Sergey Brin recently appeared on Current TV to give California Lieutenant Governor Gavin Newsome a demonstration of Project Glass, making him the first non-Googler to test-drive the tech. But the glasses don't exactly look slick on anyone, even the former mayor of San Francisco. Lee said to think of them in different terms: "like jewelry - something that is bold and prominent. "In that case, you wouldn't want it to be invisible - you want to show it off, like, 'Hey! I'm part of the future,'" he said. Can Project Glass be applied to contacts? 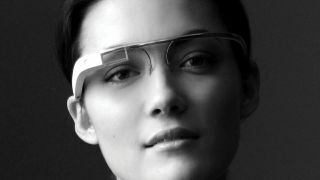 Google unveiled Project Glass in early April, but they've been working on the glasses for a couple years, Brin revealed on Current. Brin also hinted at his "hopes" for a 2013 Project Glass release. A Google spokesperson confirmed to TechRadar yesterday that more details will arrive soon. The Project Glass announcement video portrayed a number of ambitious features, like a full-color display that showed notifications hovering in the center of a wearer's field of view, that will likely be altered or removed in the final product. In fact, Google recently admitted that the current prototype is not living up to what they showed in that video. But is it possible to put that type of technology in contact lenses? Sources point to Microsoft's efforts to create a contact with a glucose monitor and radio transmitter on it to help diabetics keep track of their blood sugar levels throughout the day while remaining non-intrusive. Whether the same can be done for a tiny computer is up to Google.